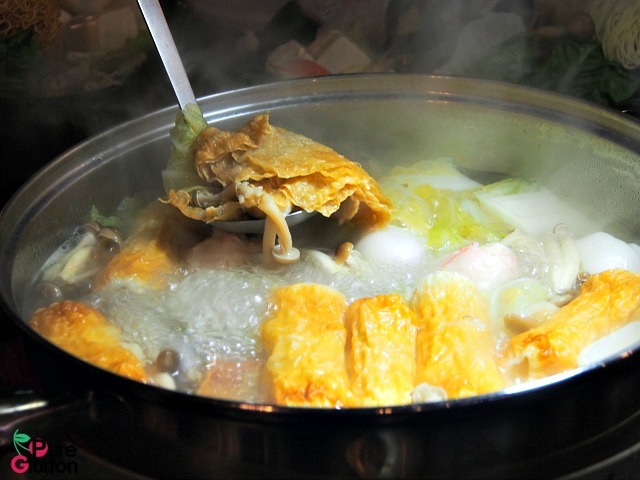 Over the past year or so there had been many steamboat restaurants setting up in and around the Klang Valley. 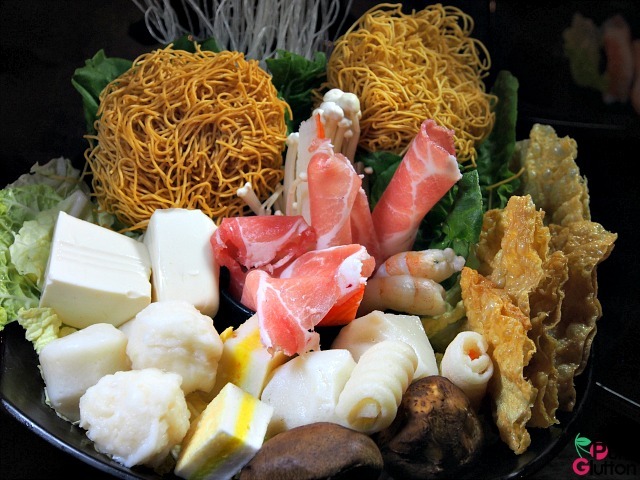 Due to the stiff competition, many try to come up with innovative or unique styles of steamboat, offering ingredients that are different from the norm. 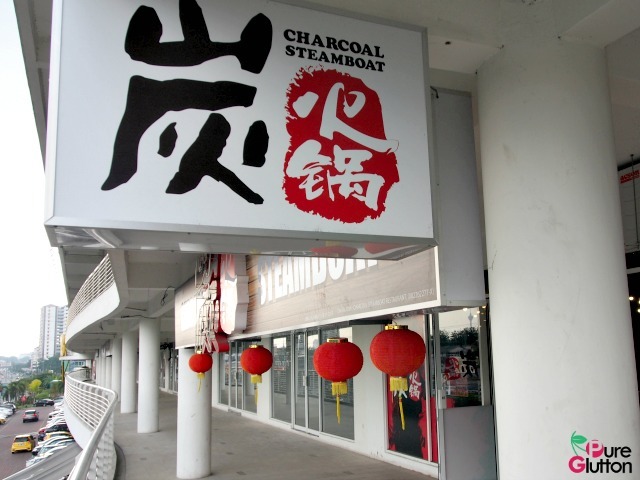 Well, Charcoal Steamboat in Setapak has certainly sparked a lot of interest since they opened late last year. 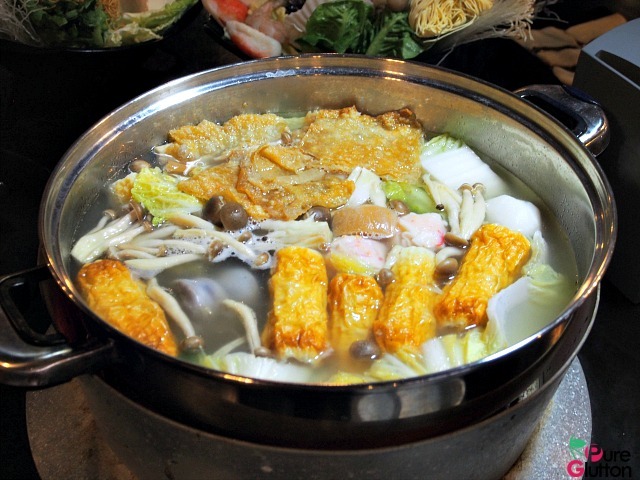 Using Japanese bamboo charcoal as the fuel and heat source to boil their soups, the restaurant’s signature pork bone soup is a hit. 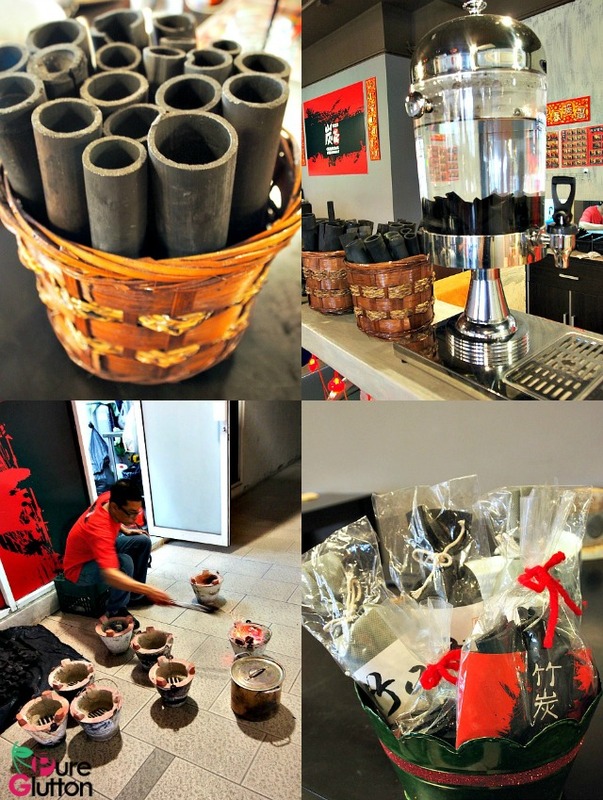 As Mia Leow, the owner, explains it, the almost-smokeless bamboo charcoal is able to burn with intense heat which is vital in boiling and producing soups that are truly flavorful. The intense heat seals in the goodness and flavors of the premium ingredients without compromising on the essence and nutrition. All the soups here are boiled using charcoal. Besides the signature pork bone soup, which is available daily, there are a few other options served throughout the week. Chinese herbal soup is available every Monday, Sichuan spicy soup every Tuesday & Saturday, Japanese miso soup every Wednesday & Friday and on Sunday, there’s the Thai Tom Yum Soup. Charcoal is well known as a super absorber of toxins and definitely a plus factor towards clean eating. In the restaurant, charcoal filtered water is served at RM1.50 a glass. 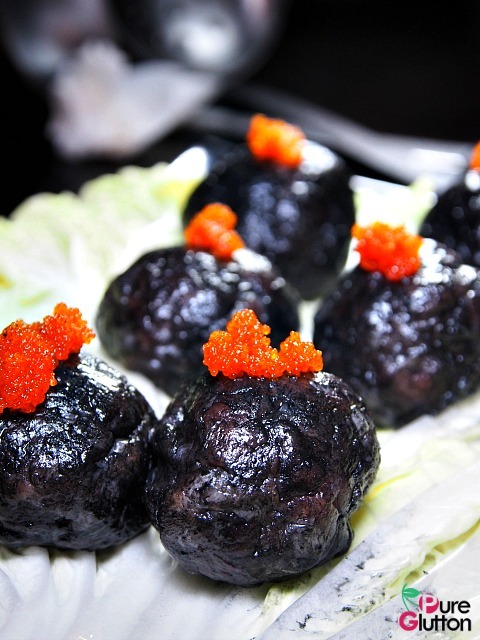 Edible organic charcoal is also used in their own-made pork balls, specifically the Black Diamond Balls. 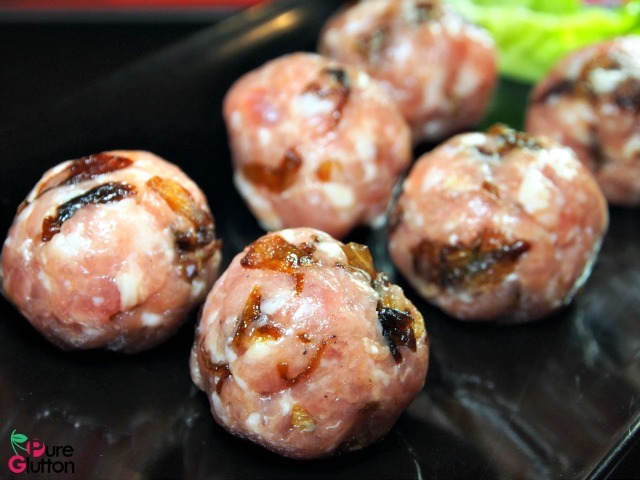 All their pork balls are made in-house, using only fresh meats. These balls have amazing textures and come in various flavors. The Mars Balls are fiery, with bits of chilli padi studding them while the Fire Diamond Balls have charcoal added and contain ebikko fillings. Then there are the Fried Onion Balls, Parsley Balls and Green Onion Balls. 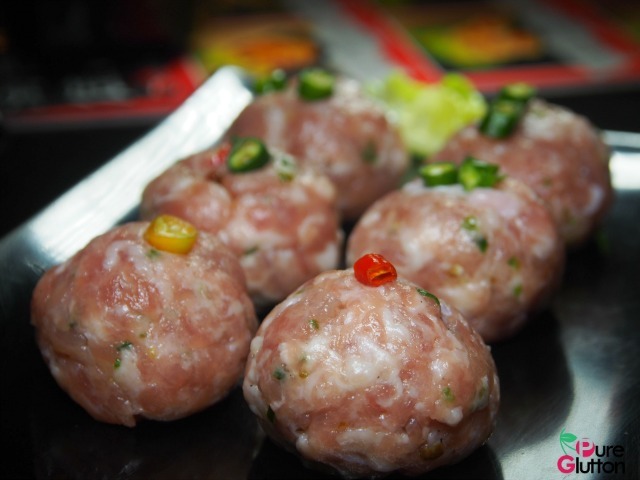 Platters of 6 of these house-made balls start from RM8.90 per plate. We love the bouncy textures of these luscious balls and can’t really pick one single favorite as they are all pretty good. A note to remember is that the charcoal balls should be put into the pot last if you do not want dark colored soup right at the start of the meal. 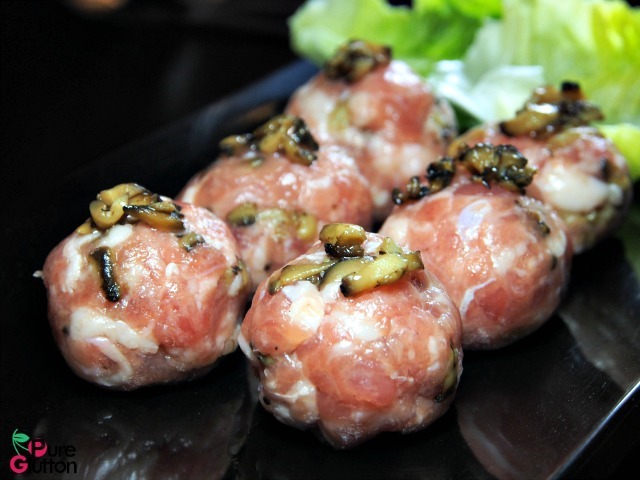 Pork balls with fried onions – insane aromas! 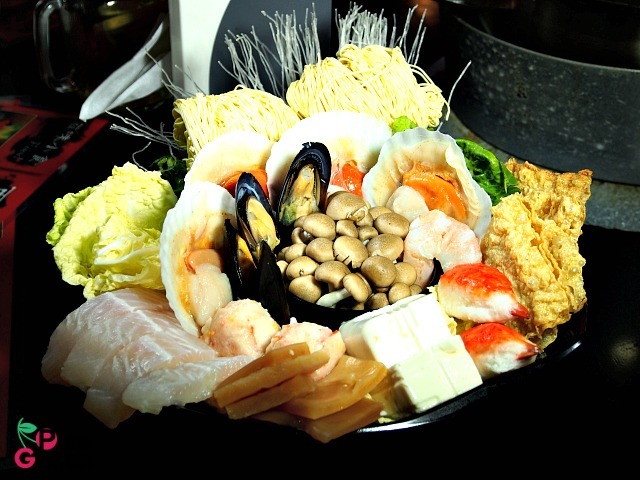 The usual servings of seafood are available, eg clams, prawns, fish, mussels, scallops, abalones and squids – prices start from RM6.90 per plate. 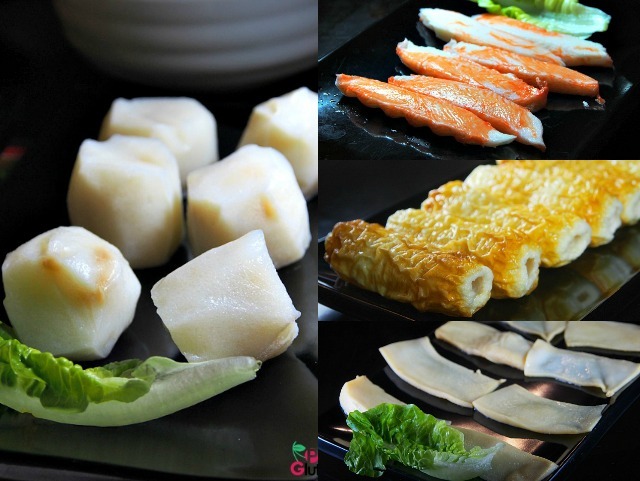 Vegetables and mushrooms choices are quite mind-boggling, from RM4.90 per plate. 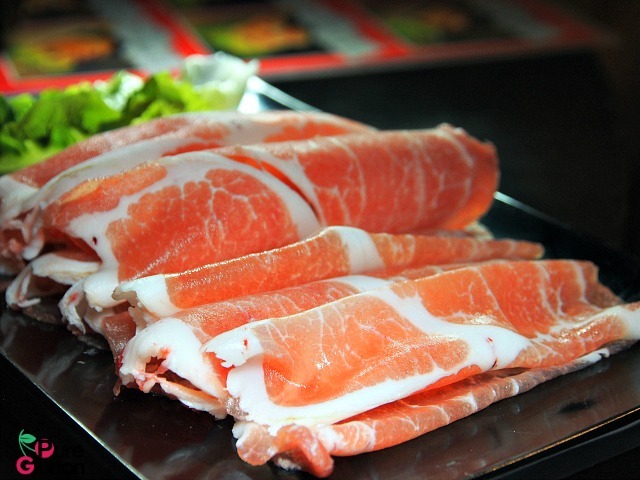 Freshly sliced pork, beef, chicken and lamb (prices start from RM6.90) are all listed on the menu. If you can’t make up your mind on the a la carte item, then it’s best to opt for the restaurant’s sets. Each set is meant for 2 people and prices start from RM33.80. There are 3 sets to choose from, pandering to a range of budgets. 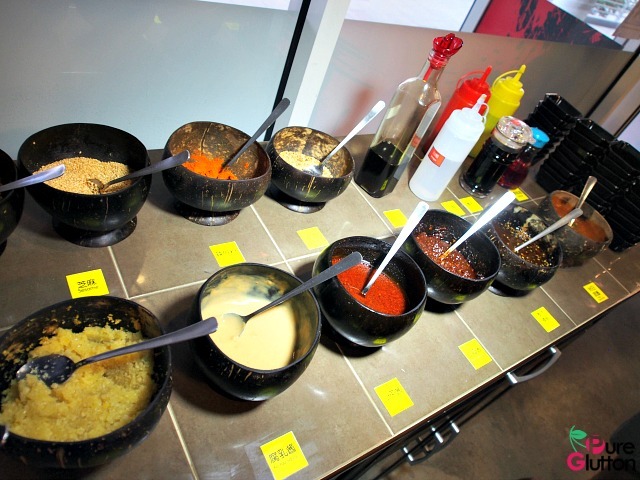 There are about 20 kinds of dipping sauces available and diners can mix and match them, DIY style, in coming up with their own unique combinations. Noodles for the steamboat – there are about 6 types listed but our favourite is their special “Steamboat Noodles” at RM1.20 per round bundle. These are pre-fried egg noodles, similar to “yee mee” but finer and very smooth. Soak them for a few minutes in the boiling soup and they are good to go. We love steamboats and this place is definitely one that we will return to. It’s a healthy meal and with the charcoal factor, it’s several notches higher on the “healthy” scale. If you like my post and site, please show some love at my Facebook Page by liking it – thank you!